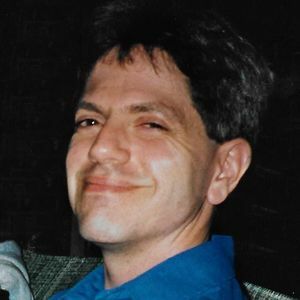 William (Bill) Edward Schneider passed away on Friday, March 8, 2019, surrounded by his family, following a long battle with colon cancer. He was 55 years old. Bill was born on November 18, 1963, the son of Margaret (Dagostino) and Robert Schneider in Cleveland, Ohio. He graduated from St. Ignatius High School in 1982, earned a Bachelor's degree from Emory University and earned an MD from the University of Toledo Medical School, specializing in psychiatry. He was a National Merit Scholar. He also spent a year serving others in Costa Rica in the Peace Corps. Bill spent his career working as a psychiatrist for several agencies in the Rochester, New York area. He returned home when he became ill to spend time with his family and friends. In his youth, Bill played the violin, was involved in scouting, and played intramural sports and chess. He had a lifelong love of books and classic rock music, amassing a vast book and music collection. He also enjoyed spending time outdoors – including hiking, fishing and whitewater rafting – practicing karate, playing poker with friends and traveling. He liked to watch sporting events and was a lifelong fan of the Cleveland Browns, Indians and Cavaliers. Bill was preceded in death by his father Robert Alan Schneider, his brother Robert Alan Schneider and his nephews Robert Leon Schneider and Eoin Gallagher. Bill is survived by his mother Margaret "Peggy" (Dagostino) Schneider, his siblings Gretchen (Craig) Horstman, Mark (Casey) Schneider, Beth (Bob) Strauss and Anne Schneider, his nieces and nephews Zachary, Kilian and Claire Horstman, Jackie (Schneider) Quinones, Payton, Reagan and Markie Schneider, Nikki, Rory and Mia Strauss, Michael Gallagher and James Keppler. He was also a great uncle to Liam Horstman and Lillian Bree and Ana Quinones. In lieu of flowers, please make donations in the name of Dr. William Schneider to St. Jude Children's Research Hospital at www.stjude.org or the American Cancer Society at www.cancer.org to support research to find a cure. Funeral Mass will be held on Saturday, March 30 at 11:30 a.m. at St. Angela Merici Church, 20970 Lorain Road, Fairview Park, Ohio. Bill's family will be greeting friends and family prior to mass at the church from 10:30 a.m. to 11:30 a.m. Following the mass, we will be taking Bill's ashes to Holy Cross Cemetary, St. Jude Mausoleum for a brief ceremony. A luncheon will follow for family and friends.